REDIRECTING TO OUR NEW WEBSITE! 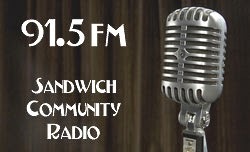 Take a look at this recap of the past year and see what Sandwich Community Television is all about! This short video explains all of the program offerings, facility updates and plans for the future. Copyright © 2014 · Sandwich Community Television. Powered by Blogger.